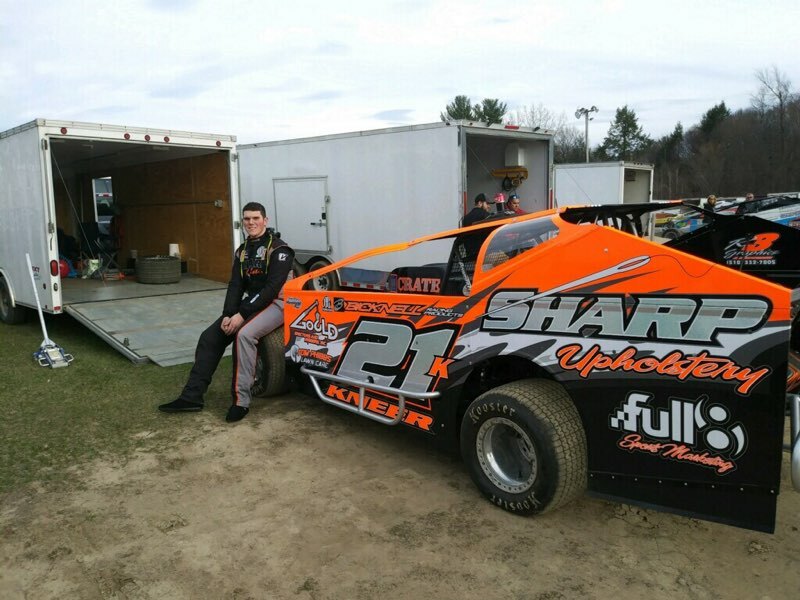 Albany Saratoga Speedway – Full 8 Sports Marketing – Warm Ups went well for the Stephen Kneer Racing team. The Sharp Upholstery 21k timed 16th out of 31 cars in the Sportsman class. That strong run landed Kneer a 7th place starting position for 2nd heat in the limited sportsman class. After missing some carnage, Kneer brought the car across the line 4th for the heat race. With the skies darkening, the limited sportsman took to the track as the first feature of the night. The 21k was lined up on the outside of row 5 as the green flagged dropped. Kneer spent the first 10 laps picking off positions, making his way into 6th. A bad crash on the backstech brought out the red flag, to ensure the safety of the drivers involved. That is when the sky's opened up, ending the night There has not been any official word if the race was official, unofficially, the 21k was in P6. In regard to the crash that happened to bring out the red flag Kneer said: “First off, I'm happy that Lou is all right. I think this serves as a good eye opener for all racers that this can happen to you; that you need the best safety equipment possible. Running lightweight seats and a neck brace won't help you in a crash like that. I hope the guys that do run that stuff, that they'll strongly consider getting a full containment seat and some sort of head and neck restraint. I'm happy that DIRTcar made that mandatory for 2019. Stephen Kneer will be back on the track Friday May 11, 2018 at Albany – Saratoga Speedway.